Over the past several decades America has undergone a profound transformation from a culture that was primarily Christian to one that is now largely pagan. One of the primary reasons for this change has been the widening influence of Eastern mysticism. A central tenet of all Eastern religions is the belief that man is evolving. 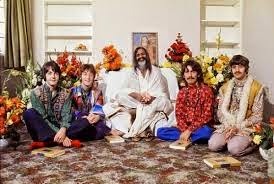 During the 1960s, changes in society first began to manifest after the Beatles traveled to India and brought back their own personal Hindu spiritual guide, the guru Maharishi Mahesh Yogi. 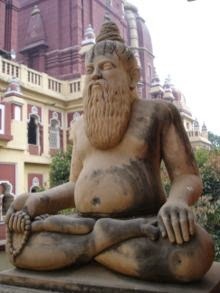 In imitation of these popular rock stars, young people began to study the tenets of Hinduism and to experiment with its practice of Transcendental Meditation (TM). The Maharishi proved to be a savvy marketer. He repackaged TM to sell to Western culture as a way to ease stress and gain spiritual enlightenment. TM even promised world peace. Eastern mysticism regards man in an evolutionary process of self-purification that can be attained through spiritual rituals and disciplines, meditations, and an ascetic lifestyle. A core tenet of Hinduism is its belief in reincarnation. “Karma” is an evolutionary cycle where one’s good works in this life will be progressively rewarded in future incarnations here on earth until a state of perfection or godhood is achieved (“Nirvana”). Buddhism similarly teaches that man is on a journey to his own enlightenment or divinity. By the mid 1970s, a convergence of Eastern religions began to manifest. This new form of syncretism called itself the “New Age Movement.” This movement was “outed” in a bestselling book by Marilyn Ferguson titled The Aquarian Conspiracy: Personal and Social Transformation in the 1980s (J.P. Tarcher, 1980). Her book was a textbook for how to create a “paradigm shift” in Western culture, moving it from its historical roots in Christianity into an Eastern mystical mindset. Interestingly, the book cover prominently displayed a “666” logo, representing the author’s belief that they were awaiting a New Age “Christ” Messiah figure (“Maitreya”) who would unite humanity for peace on earth. Ferguson asserted that the New Age had many prominent advocates in the media, medicine, education, Hollywood and science. These “change agent” leaders were also working within the government to effect a restructuring of social institutions. 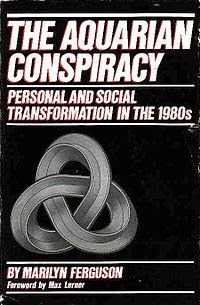 Note the 666 logo on Ferguson's book cover. In a landmark book, The Hidden Dangers of the Rainbow (Huntington House, 1983), Christian author Constance Cumbey warned evangelicals about an insidious agenda behind Ferguson’s touted New Age Movement. Cumbey’s historical research had uncovered its dark roots. 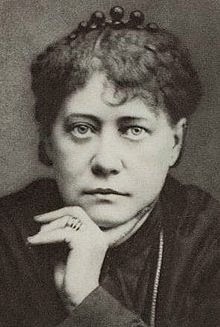 In 1875, Helena Petrovna Blavatsky founded the Theosophical Society in Germany. Blavatsky was an occultist who traveled to Tibet to study the Tibetan Book of the Dead. From this she developed a doctrine of the superiority of the Aryan race. The Theosophical Society engaged in a mass distribution of tracts and literature to promote these teachings. This widespread dissemination contributed to the rise of anti-Semitism across Europe a century ago. Theosophy also embraced the tenets of Social Darwinism, the idea that “natural selection” and “survival of the fittest” could be applied to social institutions. Theosophy sought to unite all world religions under the banner of the “Universal Brotherhood of Humanity.” Some of the Theosophist writings originated from the channeled transmissions of a spirit calling itself “Djwal Khul.” Alice Bailey compiled his verbatim instructions and the Lucifer Publishing Company (now Lucis Trust) published her many books. Bailey laid out a precise plan for the evolution of mankind to a “New Age” and “New World Order” on earth. Theosophy could best achieve its sinister goals by remaining underground and infiltrating the world’s major religions and government (hence the word “conspiracy” in Ferguson’s book title). By the time Theosophy re-surfaced in the late 1970s as the New Age Movement, it had incorporated a wider hodge-podge of Eastern religious ideas into its tenets. Yet there was one common core belief—that humanity is evolving. 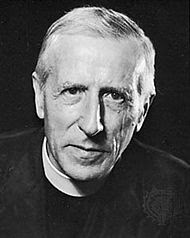 “The father of the New Age” is the title given to a French Jesuit, Teilhard de Chardin (1881-1955). In addition to being a priest, Teilhard was also a paleontologist. 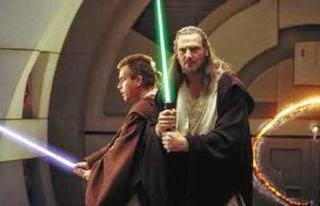 He attempted to integrate evolution with Christianity. This effort proved to be too controversial for his Catholic Church superiors and he was subjected to punitive measures. Teilhard taught that just as human beings had evolved from apes, mankind would evolve to a higher level of collective “consciousness” and emerge as a new species he called homo noeticus. A prominent New Age leader, Barbara Marx Hubbard, would later call this homo universalis. Interestingly, Teilhard was reportedly involved with the Piltdown hoax, a major “missing link” forgery. The New Age Movement, like Eastern mysticism, does not believe in absolute truth. Experience trumps truth. The subjective experience of each person is elevated over reason, rational thinking, and the scientific method. Thus, there is no reality. “Reality is what you make it to be.” The New Age teaches that truth itself is evolving as mankind evolves. Man’s expanding “consciousness,” especially through paranormal encounters, is believed to facilitate evolution. His spiritual progress towards perfection is enhanced as he works together collectively, in unity and harmony, for the common good of the planet. As the New Age Movement began to influence society, various methodologies borrowed from Eastern mysticism were introduced into medicine, education, social sciences, business, and religion. These mystical practices were re-packaged to appear scientific, and rapidly gained widespread credibility through entertainment media and the mainstream press. The New Age Movement also launched a new genre of self-help books that promoted Eastern mysticism, watered-down for Western tastes. These popular books served as a platform for introducing the concept that man is on a progressive spiritual journey in which he can attain supernatural power to achieve seemingly impossible things. The easiest avenue for disseminating New Age thought proved to be alternative or holistic health. Self-healing through mind-over-matter techniques was marketed to the public as a new way of curing disease and improving longevity. Yoga is current example of a meditative ritual that originated in Eastern religions but is now being widely advertised as a healthful exercise program in the West. Yet Yoga is, in reality, an alternative path to salvation based on progressively evolving to higher spiritual levels. New Age mystics believe there is a “co-creative” power inherent in the human imagination that can generate new realities. Many self-help books and business seminars promise that envisioning healing or wealth can result in positive outcomes. Thus “visioning” is now widely practiced throughout the culture, especially in the business world. New Age leaders also suggest envisioning “alternative future scenarios” for the planet. They believe this will result in peace, harmony and unity—even restore earth to a pristine environmental paradise. They teach that mankind, by collectively “vision-casting” a positive future, can forestall, intercept or alter his destiny. In this way man can bypass the “negative” biblical scenarios of Armageddon and Judgment Day. In her 1980 book, Marilyn Ferguson ominously suggested that “[e]volution may be speeded up by certain genetic mechanisms” (p. 160). Improving mankind’s condition by facilitating his own evolution, whether through spiritual and/or technological means, is an over-arching goal of the New Age. Scientists began to work on artificial intelligence and transhumanism to overcome man’s limitations and enhance his psychological, intellectual and physical capacity. Some believe that the original New Age vision of a “new man” (Teilhard’s homo noeticus) could be tangibly realized through advances in technology. 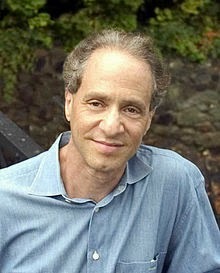 Ray Kurzweil’s utopian concept of “Singularity” envisions a time when the exponential growth of artificial intelligence will change man’s basic nature and condition. The dark side of these technological advancements is the racist idea that “enhanced” people will be superior to others, and further along the evolutionary scale. Note: This summary report was authored by Sarah H. Leslie (B.S., M.S.) has been researching and publishing about the New Age Movement for over three decades. Prior to her conversion in the 1970s she was involved in the New Age Movement. To further research any of the names and terms in this article in prior Herescope posts, simply google the "term" or "name" with the word "Herescope." Since 2005 Herescope has published hundreds of articles detailing how these New Age evolutionary concepts have entered the evangelical church world. Is Francis the Last Pope?